LATEST UPDATE : Bihar SSC may announce Inter Level 2014 Pre Exam Result in June, 2019. Get Updates from link given below…. Bihar SSC Pre Exam conduct on 8, 9, 10 December, 2018. More than 18 Lac Candidates will appear in Exam. Exam conduct in two shifts & conducted at 800 Centres all over state. Inter Level Combined Competitive written Exam comprises of Objective Multiple Choice Type Questions. There will be 150 Questions in Exam, 50 Questions each from General Studies, Science & Mathematics and Reasoning. Time Duration for Exam is 135 Minutes. Negative Marking is also applicable in exam. Candidates can get Information of bihar ssc inter level cut off marks 2018 from this Page Itself. 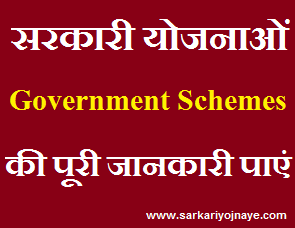 BSSC 12th Level 2014 Exam Official Cut Off Marks may different & vary. It depends on Nature of Question Paper, No. of Vacancies, Total No. of Seats. We will provide of You Expected BSSC Inter Level Exam Cut Off Marks 2018 after completion of Exam of Both Shifts. Get Updates from this Page itself. Next Stage of forest guard/ council guard post is physical test. So Written Exam cut off will vary according to that. Aspirants need to have a regular watch on Bihar SSC Website. BSSC 12th Level Expected Cut Off Marks 2018 Latest News Updates will also available on www.govtexamalert.com. So Bookmark this Page (Press CTRL+D) & get regular updates of 12th level 2014 exam. Candidates can leave your query regarding Cut Off Marks in the Comment Box. We will try to be responsive. Leave an email at Disha@govtexamalert.com for Assistance. i hv attemp 135 question ubder general catgry but approx 15 question are wrong. there is a chance for mains or not. I attempt 115 question under gen ctgry. There 15 question are wrong. There is chance for main or not.